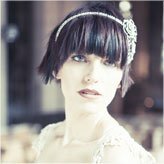 Bridal Tiaras & Headdress from The Lilac Tree are all about elegance, with a little touch of vintage nostalgia. 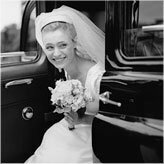 Our on-line Boutique is filled with irresistible Bridal Accessories. With a strong design ethos, quality and attention to detail and a passion for all things fashion The Lilac Tree’s collections will bring a sense of glamour and ageless style to any Bride on her Wedding Day. Our range of Bridal Veils are truly dreamy in soft White or Ivory Tulle finished with vintage inspired lace, ribbons and crystals. Many of our Bridal Veils are one off pieces allowing you to be truly individual on your Wedding Day. See our gorgeous range of First Holy Communion Headresses & Veils for the little girl in your life who will adore all things pretty & sparkly on her special day. Vintage, for that timeless and stylish look. Traditional, for a beautiful and classic day. Contemporary, an eye catching & unique collection. Modern, individual designs that stand out.